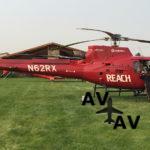 REACH Air Medical Services announced plans to open a new air ambulance base in Roseburg, Oregon with service expected to begin in early summer. 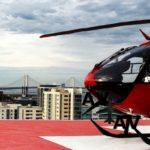 The company responds to calls from the 911 emergency response system, flying patients from trauma scenes to the nearest appropriate medical facility. REACH also responds when hospitals call to have their critical care patients transported to another facility for a higher level of care or specialized services. Located at the Roseburg Regional Airport, the base will be staffed 24/7 with a critical care flight crew consisting of a Flight Pilot with thousands of hours of experience, and a highly skilled team of clinicians to provide an ICU level of care for patients throughout the transport experience. REACH has bases in Oregon and Northern California that have served this region for years. The new Roseburg base, with its central location, will provide air ambulance services to residents of Roseburg and surrounding areas. It will also be an additional resource to support the company’s service in neighboring communities. 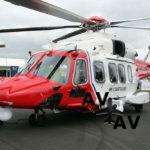 The helicopter chosen to serve this area is an Agusta A109E Power. Known as fast and powerful air medical helicopter, its twin engines allow it to fly at airspeeds up to 170 miles per hour. The aircraft comes equipped with safety features including night vision goggles, an advanced terrain awareness warning system, and Instrument Flight Rule (IFR) capabilities, which allow it to fly safely in less than favorable conditions. 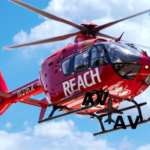 REACH is a provider to AirMedCare Network (AMCN), the nation’s largest air medical transport membership program. 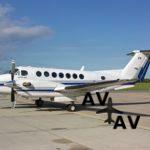 When transported by REACH, AMCN members pay no out of pocket costs for a medically necessary flight. Membership is just $65 a year for an entire household. In addition to covering flight costs for REACH, membership extends to AMCN’s 260 base locations across 32 states.